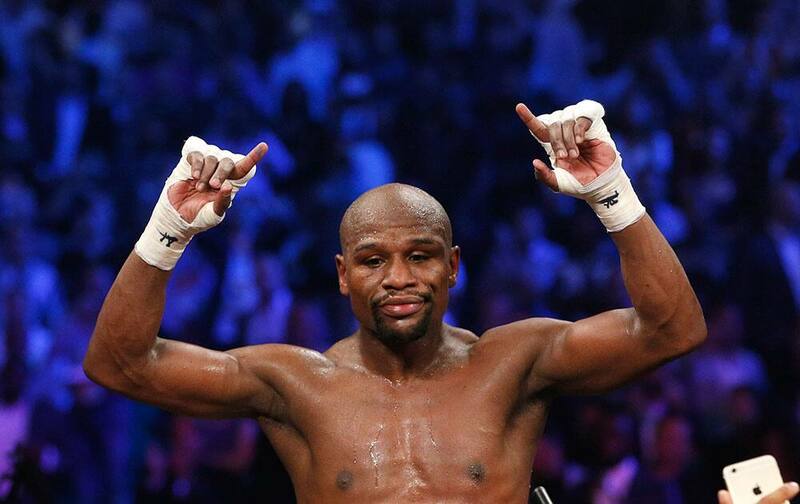 Floyd Mayweather Jr. answers reporter questions during a press conference following his welterweight title fight against Manny Pacquiao in Las Vegas. 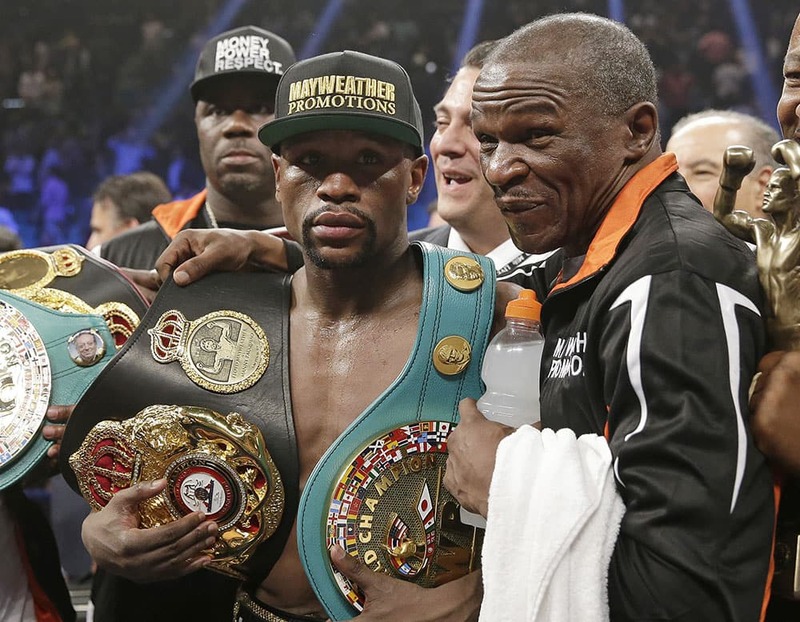 Floyd Mayweather Jr., left, poses with his champion's belts and his father, head trainer Floyd Mayweather Sr., after his victory over Manny Pacquiao, from the Philippines, in their welterweight title fight in Las Vegas. 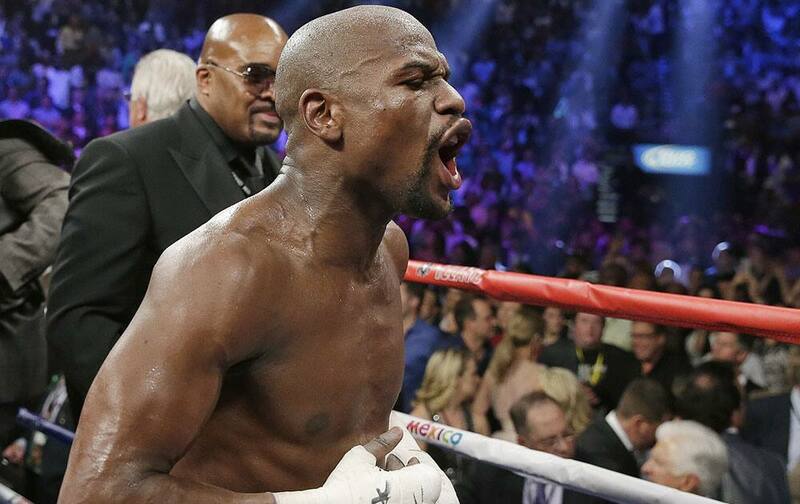 Floyd Mayweather Jr., celebrates his unanimous decision victory over Manny Pacquiao, from the Philippines, at the finish of their welterweight title fight in Las Vegas. 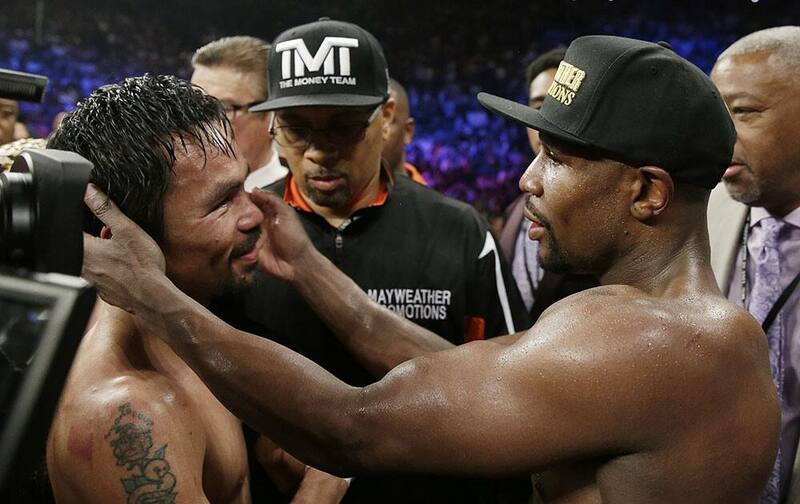 Floyd Mayweather Jr., left, and Manny Pacquiao, from the Philippines, embrace in the ring at the finish of their welterweight title fight in Las Vegas. 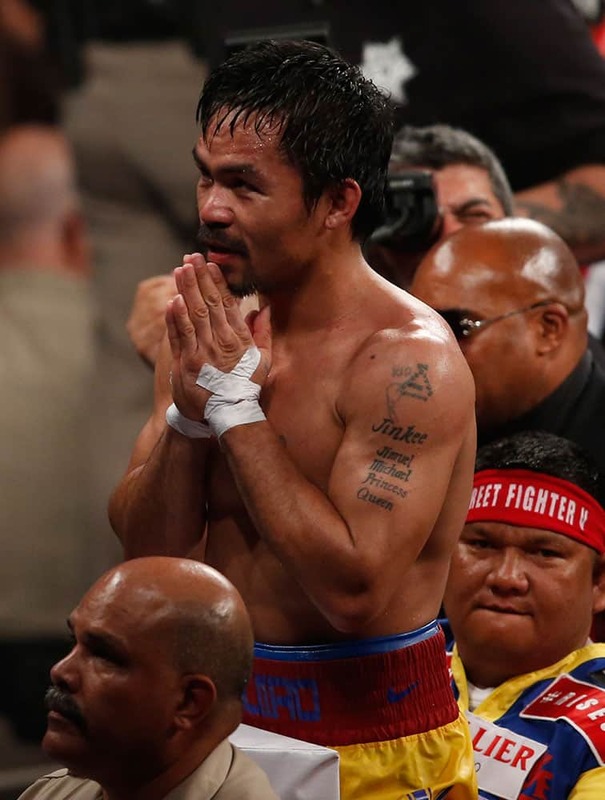 Manny Pacquiao, from the Philippines, greets fans after his welterweight title against Floyd Mayweather Jr., in Las Vegas. 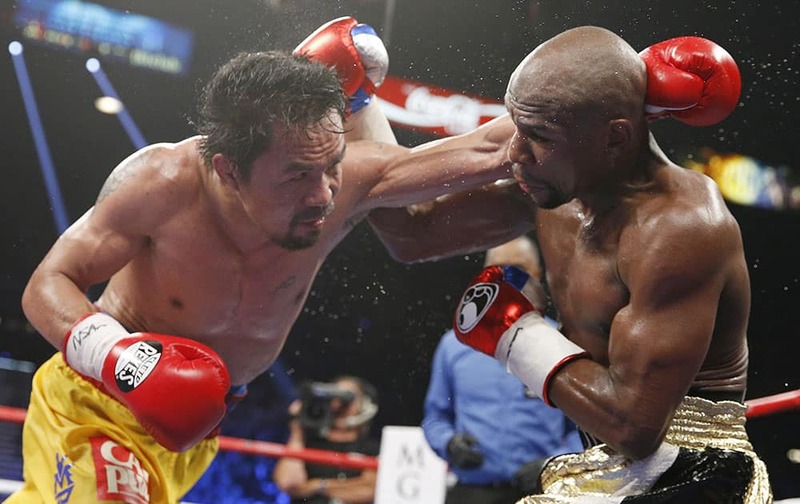 Floyd Mayweather Jr., left, punches Manny Pacquiao, from the Philippines, during their welterweight title fight in Las Vegas. 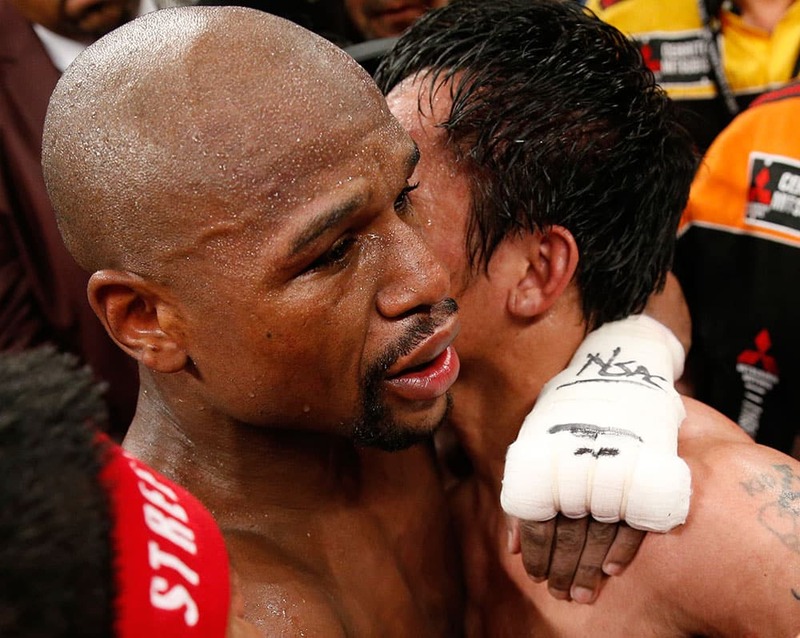 Manny Pacquiao, from the Philippines, left, and Floyd Mayweather Jr., embrace in the ring at the finish of their welterweight title fight in Las Vegas. 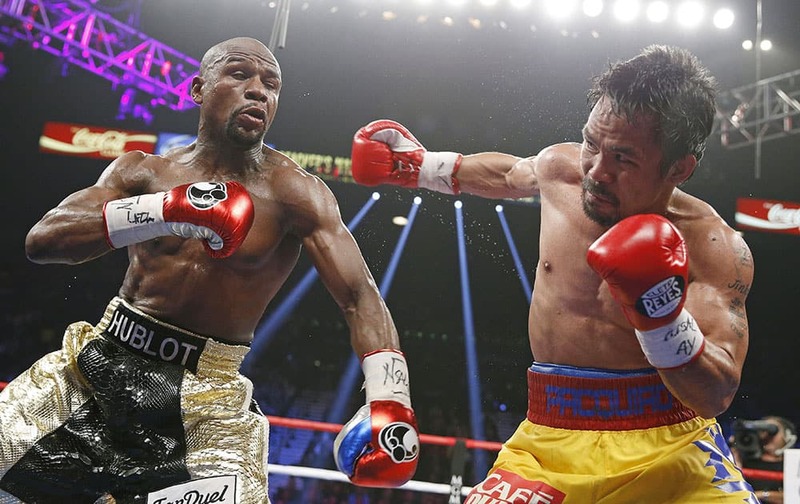 Manny Pacquiao, from the Philippines, left, trades blows with Floyd Mayweather Jr., during their welterweight title fight in Las Vegas. 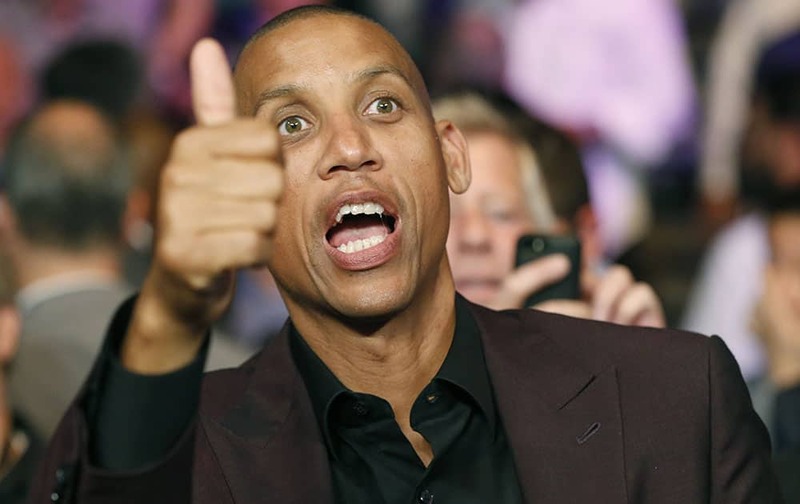 Reggie Miller gestures to the crowd before the start of the world welterweight championship bout between Floyd Mayweather Jr., and Manny Pacquiao in Las Vegas. 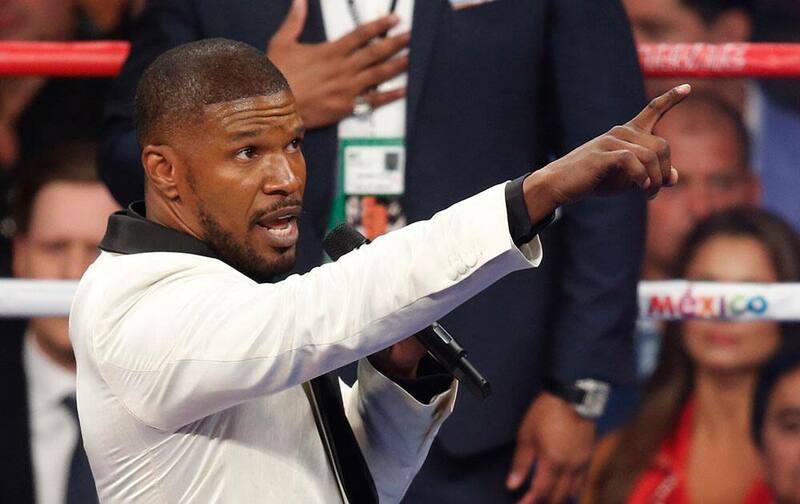 Actor Jamie Foxx sings the national anthem before Floyd Mayweather Jr., and Manny Pacquiao's welterweight title fight in Las Vegas. 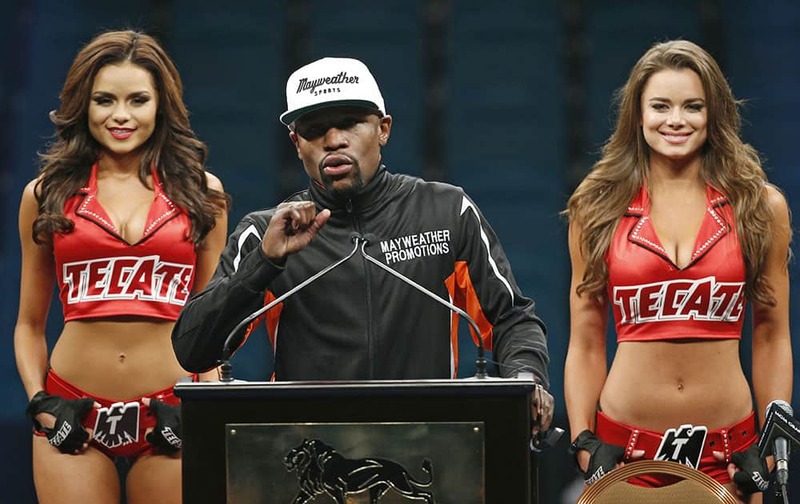 Paris Hilton enters the arena before the start of the world welterweight championship bout between Floyd Mayweather Jr., and Manny Pacquiao in Las Vegas. 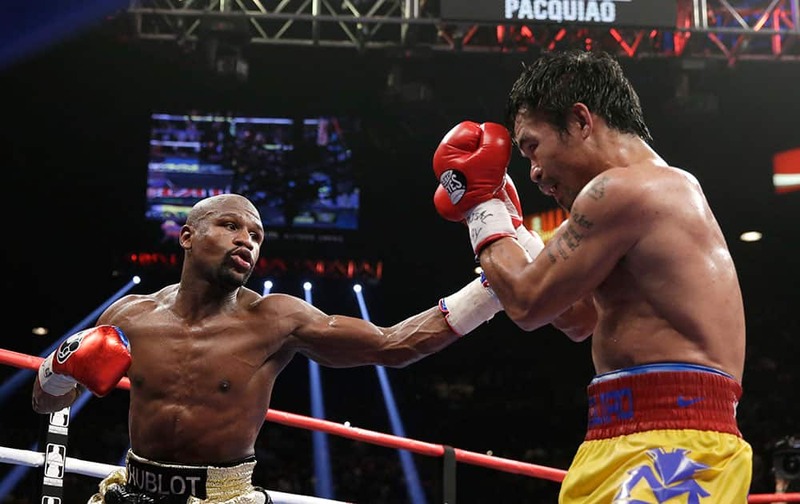 Manny Pacquiao, from the Philippines, right, throws a right against Floyd Mayweather Jr., during their welterweight title fight in Las Vegas. 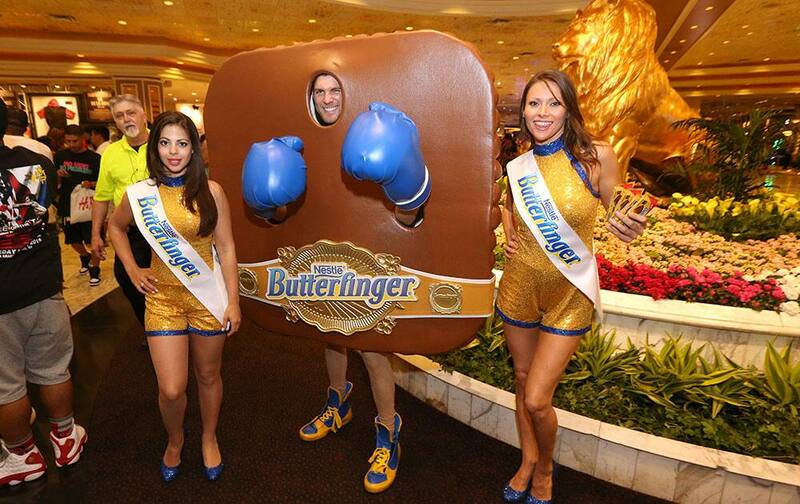 Butterfinger Cups Man rallies Manny Pacquiao fans in Las Vegas.